Nike - Rakuten - Earn Super Points at your favourite retailers and choose great rewards. Students get 10% off everything - discover how. Up to 40% off over 900 mens's fashion picks. Up to 40% off over 2000 women's fashion picks. Discover amazing deals on footwear and apparel at Nike. 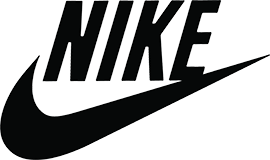 Founded in the USA in 1964, Nike offers a wide range of innovative sports clothing, sports equipment, accessories, and services for men, women and kids, designed to ensure comfort and performance. Get free standard delivery on every order with NikePlus. • Super Points may not earned on VAT, delivery charges, credit card payment fees, taxes or other additional charges. • Super Points are not earned in conjunction with any other offer, voucher or discount code unless listed on this page, or discounts such as for staff or students.